Made of rare avodire wood. Dimensions (diametre x height): 21 x 4.5 cm. 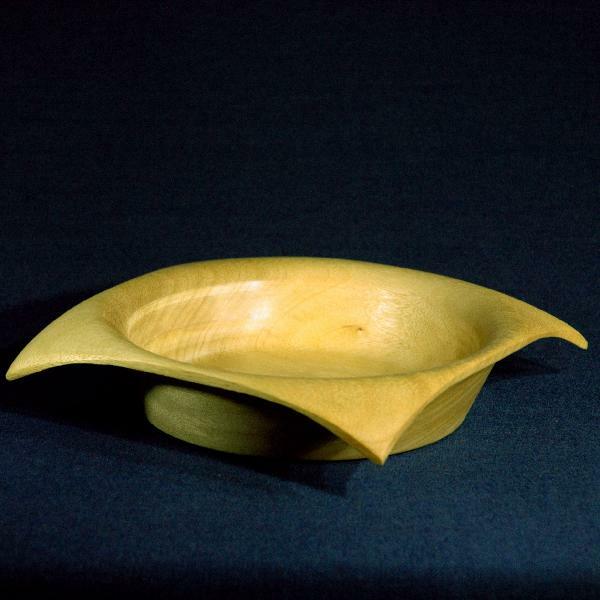 An original handmade plate of bright creme-colored African avodire wood. A unique interior decoration. Fits in great with 02066 glasses and other avodire items (05058, 05059, 05065 etc.) Can be used as a candy or fruit vase.